David Bowie was an English painter, actor, singer and song-writer, record producer, arranger and multi-instrumentalist. Bowie was an icon in popular music, famous for his innovations. He ruled the genre of popular music for five decades. His sexual ambiguity was his trademark in the 1970s and 1980s. Bowie sold approximately 140 million records globally. He was conferred nine Platinum, 11 gold and eight silver album certificates in the UK. Bowie bagged five platinum and seven gold certifications in the US. 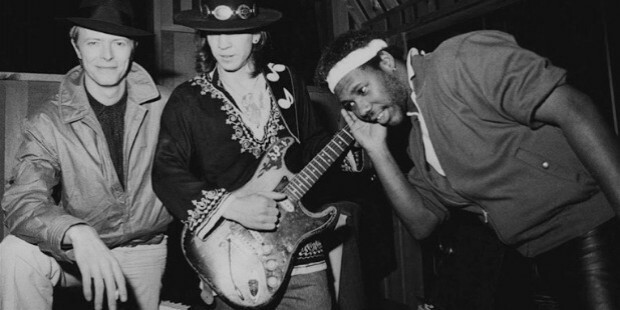 He was accredited into the Rock and Roll Hall of Fame in 1996. David Bowie died on January 10th 2016. David Bowie was born on 8 January 1947 in Brixton, south London. His mother, Margaret Mary was a waitress and his father, Haywood Stenton "John" Jones was a promotions officer at Barnardo, a children's charity. 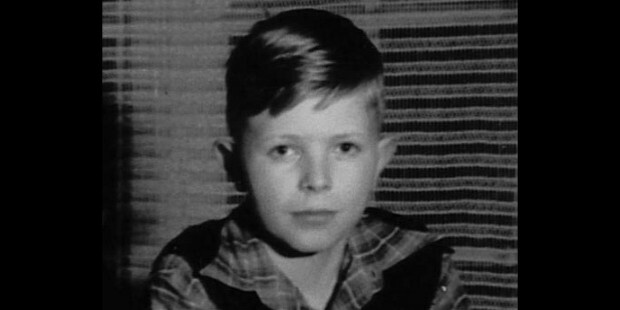 Bowie studied at the Stockwell Infants till the age of six. Bowie and his family shifted to Bromley. He attended the Burnt Ash Junior School. His talent as a singer and dancer was apparent in school. Bowie was inspired by the artists of American 45s. He was influenced by 'Tutti Frutti'. He learnt to play the ukulele, the tea-chest bass and the paino. Bowie took part in skiffle sessions with his friends. Bowie studied music, art and design, which included lay-out and type-setting. David Bowie formed his first band, Konrads in 1962. They played the rock and roll on the guitar at local events. 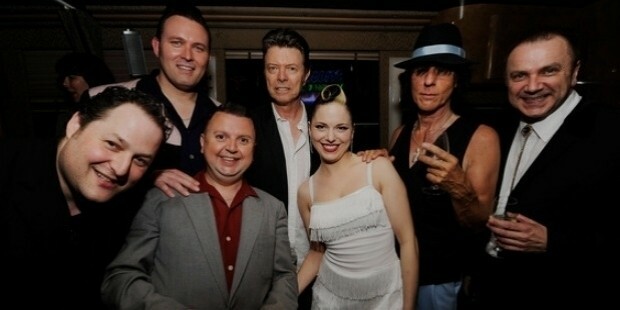 Bowie joined the band King Bees. He left King Bees and joined the Manish Boys, quit and became a part of the Lower Third band. Bowie joined the Buzz and the Riot Squad. Success continued to elude him. Bowie enlisted in Lindsy Kemp's dance classes at the London Dance Centre in 1967.His single, Over the Wall We Go was released in 1967 and a year later, Bowie's composition, Silly Boy Blue saw the light of the day. 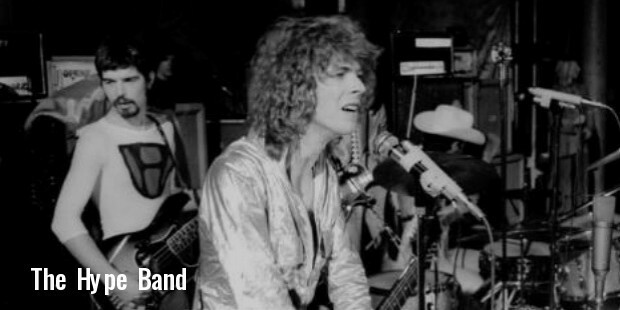 Bowie participated in a dance sequance for The Pistol Shot, a play on BBC in 1968. 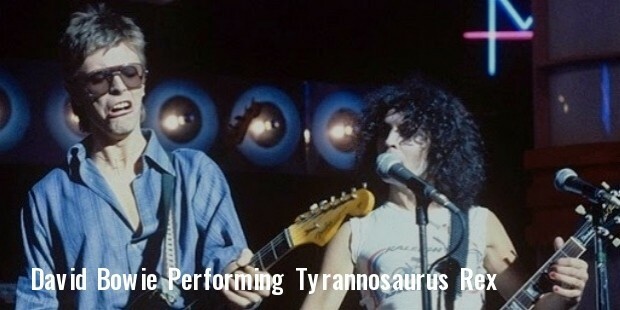 Bowie went on a tour with Marc Bolan's duo, Tyrannosaurus Rex in 1969. The same year, his solo Space Oddity was released and ranked among UK's 'top five'. Bowie started a 'folk club' in partnership with Christina Ostrom, Barrie Jackson and Finnigan, at the Three Tuns pub. Bowie formed a band The Hype under the guidance of his wife, Angela Barnett in 1969. As a marketing strategy, a character was ssigned to each member and glamourous costumes were used. His third album, The Man Who Sold the World was greatly publicised. Bowie was inspired to create a character from Mars. Sporting completely a new look, Bowie initiated his stage show, Ziggy Stardust with the Spiders from Mars in 1972. The show hearlded him to new heights of success. His album, The Rise and Fall of Ziggy Stardust and the Spiders from Mars remained in the charts for two years. His singles, Hunky Dory and Starman did well on the charts. Bowie first tasted success with his album, Aladdin Sane, which topped the UK charts. His popularity skyrocketted and his previous albums were suddenly in demand, featuring at 'number six' on the UK charts. Bowie's collection of covers of his favourites from 1960s, Pin Ups peaked at 'Number One' on the UK chart. Bowie migrated to the US in 1974 and settled in Los Angeles. His album Diamond Dogs was released in 1974 and topped the UK charts and reached 'number five' in the US. He initiated a promotional tour, Diamond Dogs Tour. A documentary, Cracked Actor and an accompanying album, David Live were released. The album worked wonders for him and cemented his status as a 'super-star'. His album, Young Americans was released in 1975 and topped the US charts. 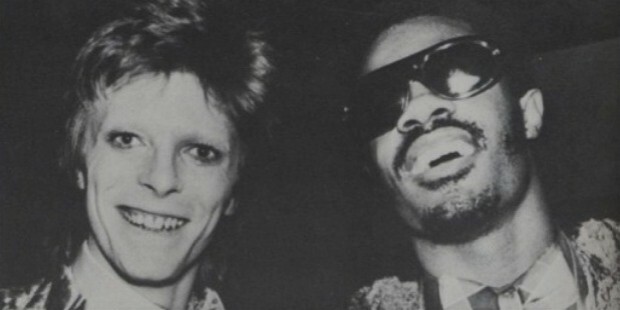 Bowie earned the honour of being the 'first white artist' to feature in Soul Train, a variety show in the US. Bowie mimed 'Fame' and 'Golden Years'. Bowie projected a new persona, the Thin White Duke with the album, Station to Station released in 1976. He moved to Switzerland in the same year. He started painting. He shifted his base to West Berlin. Bowie produced the album Low and Heroes in 1977, comprising an abstract musical form. They ranked 'number two and three' on the UK charts. 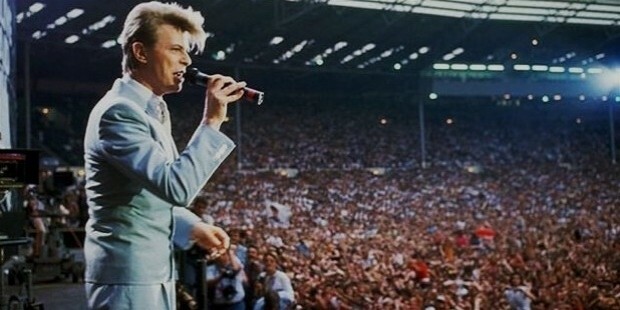 Bowie conducted the Isolar II world tour holding 70 concerts across 12 countries. Bowie's Ashes to Ashes from the album, Scary Monsters (and Super Creeps), released in 1980 was a smashing hit topping the UK charts. The album borught the New Romantic movement to the fore internationally. His single, Under Pressure topped the UK charts in 1981. Bowie played the protagonist in Baal, a television adaptation of the play by Bertolt Brecht, which was aired on BBC. Bowie's career experienced a new high with the album Let's Dance, which earned a Platinum in the UK and the US. He made his mark as a video artist by 1983. His six-month long tour, the Serious Moonlight Tour was a runaway hit. Bowie appeared in a cameo role in the film, Absolute Beginners in 1986. Bowie formed the band, Tin Machine in 1989. Its debut album, Tin Machine ranked 'number three' in the UK. Bowie re-surfaced with his solo, Black Tie White Noise in 1993. The album topped the Uk charts. Bowie was initiated into the Rock an Black Tie White Noise d Roll Hall of Fame in 1996. His album, Earthlings released in 1997 enjoyed commercial and critical succes. Experimenting with diverse fields, Bowie crafted the sound-track for the computer game, Omikron in 1999. He performed at the charity event, the “Concert for New York City”, the proceeds of which would be donted to the victims of September 11 attack. He sang a duet for Shrek 2. Bowie performed on stage for 'Fashion Rocks', a national television event in 2005. Bowie was conferred the Grammy Lifetime Achievement Award in 2006. He was selected to minister the “High Line Festival” in 2007. Bowie's single, Where Are We Now? From his album, The Next Day topped the UK charts within hours of being released in 2013. A music video of the song was released on the same day. An exhibition, “David Bowie Is” was held at the Victoria and Albert Museum in 2013. Bowie was termed as the 'best-dressed Briton in history' in a poll conducted by the BBC History Magazine. He won the 'Best British Male Award' at the “Brit Awards 2014”. 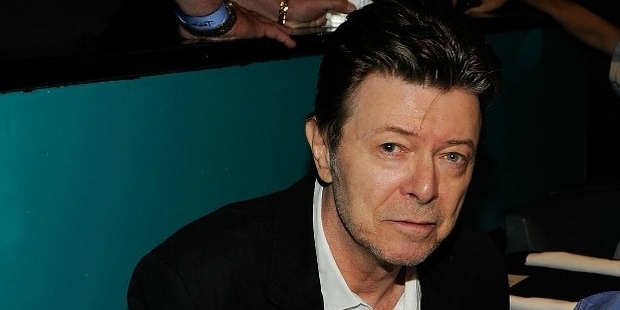 Bowie wrote and recorded the title song for the television series, The Last Panthers in 2015. His album, Blackstar was released on his 69th birthday in 2016. Bowie's stint in the film industry was randomly successful. He acted in films; Merry Christmas, Labyrinth, The Last Temptation of Christ and The Prestige. Bowie was the main lead in the film, Just a Gigolo. His performance in The Elephant Man, a theatre production by Broadway won him critical acclaim. He bagged the Saturn Award for Best Actor for the film, The Man Who Fell to Earth. Bowie was married to Angela Barnett for 10 years. They had a son, Duncan. 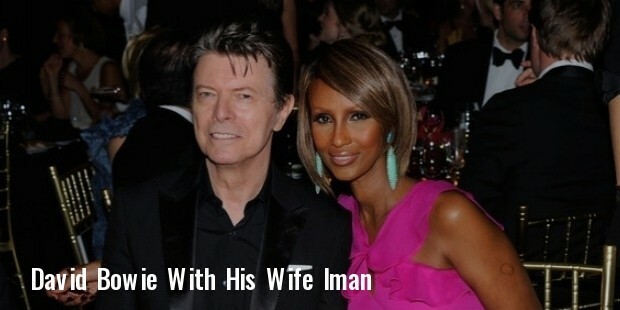 He married Imam, a Somali-merican model in 1992. They had a daughter, Alexandria "Lexi" Zahra Jones. The couple shunted between New York City and London. Bowie was interested in Buddhism. He died from liver cancer on January 10, 2016. Bowie was conferred the “Ivor Novello Special Award For Originality” for the song, Space Oddity. He bagged the Saturn Award for Best Actor for the film, The Man Who Fell to Earth. Bowie won two Grammy Awards and three Brit Awards ( Best British Male Artist twice and the award for Outstanding Contribution to Music) for his music and videos. Bowie was made a Commander of the Ordre des Arts et des Lettres by the French Government in 1999. He was given an honorary doctorate from Berklee College of Music. Bowie was conferred nine Platinum, 11 gold and eight silver album certificates in te UK. Bowie bagged five platinum and seven gold certifications in the US. Bowie featured 29th among the “100 Greatest Britons” in the 2002 BBC poll. He was listed 39th among the “100 Greatest Rock Artists of All Time” by the Rolling Stone magzine. Bowie was initiated into the Rock an Black Tie White Noise d Roll Hall of Fame in 1996. He was made a member of the Science Fiction and Fantasy Hall of Fame in 2013. The spider Heteropoda davidbowie has been named in his honour.